Lama Zopa Rinpoche discussing Dharma with a student, Bangalore, India, December 2016. Photo by Ven. Lobsang Sherab. We Invite You to Rejoice with Us! 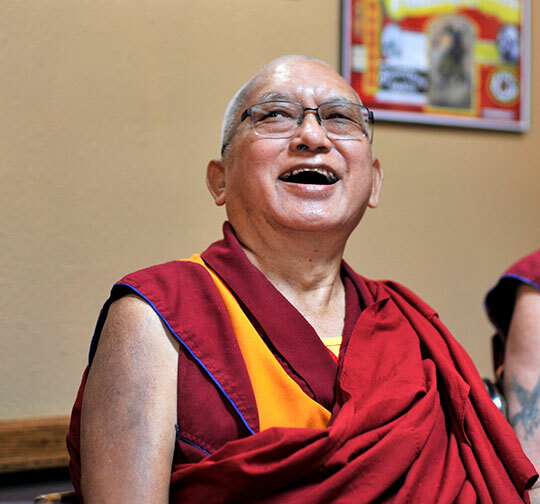 Lama Zopa Rinpoche enjoying himself at a restaurant, Washington State, USA, September 2016. Photo by Ven. Lobsang Sherab. 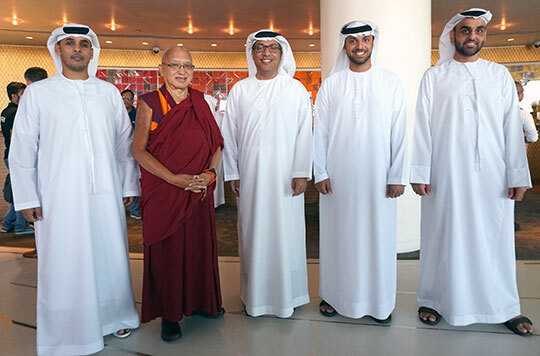 Lama Zopa Rinpoche meets some new friends in Abu Dhabi, United Arab Emirates, on his way to Nepal, November 2016. Photo by Ven. Lobsang Sherab. Find a wide range of advice on Rinpoche’s Advice page. 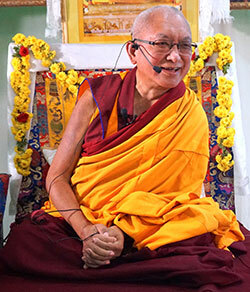 Lama Zopa Rinpoche teaching in Bangalore, India, December 2016. Photo by Ven. Lobsang Sherab. 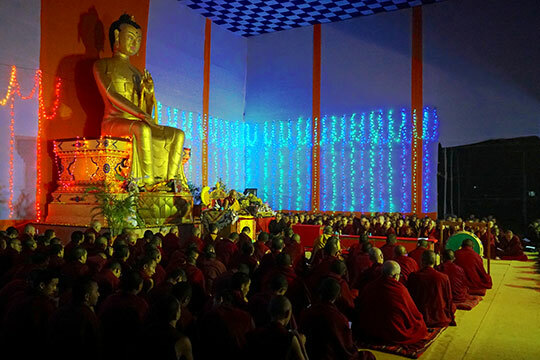 On January 2, a long life puja was offered to Lama Zopa Rinpoche on behalf of Sera Je Monastery on the Maitreya Project land in Bodhgaya, India. The puja was to thank Rinpoche for twenty-six years of support offered through the Sera Je Food Fund. Photo by Ven. Lobsang Sherab. FPMT Charitable Projects invite you to rejoice in another year of offering food to all of the monks studying at Sera Je Monastery through the Sera Je Food Fund. Since 1991, the Sera Je Food Fund has offered millions of meals. We currently offer approximately 700,000 meals per year, 2,900 meals per day. FPMT International Office invites you to rejoice that our third and final fundraising campaign in 2016 was a great success thanks to the generous support of donors around the world. 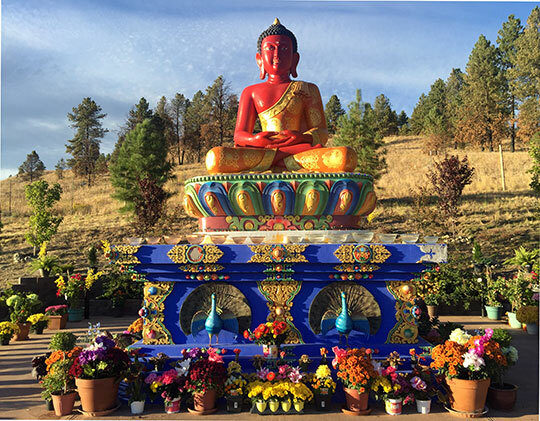 US$28,605 was donated to the Give Where Most Needed Fund to help future FPMT activities. A big thank you to all who contributed to the campaign! Now is the time to open your Merit Boxes and count and send in your accumulated offerings! Just think: what is sitting in your Merit Box now will later this year transform into grants that will help Dharma projects around the world. Learn how to send in your collected Merit Box offerings here. Lama Zopa Rinpoche offered to lunch to Sangha members while in Bangalore, India, December 2016. Photo by Ven. Lobsang Sherab. Support the Dharma, enjoy the Dharma! Read more on the merits and benefits of being a Friend of FPMT supporter here. We’re excited to announce that Liberation Prison Project’s 2017 calendar is available to order today! 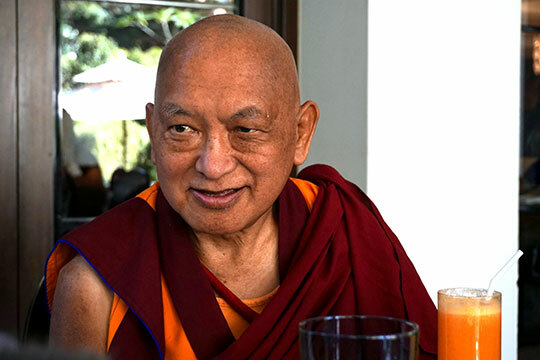 FPMT centers, projects and services receive a special discount. This calendar includes lunar dates and information about more than thirty kinds of practice days and auspicious and inauspicious days for each month. The calendar was prepared by astrologer Ngawang Thartho based on the Tibetan Medical and Astrological Institute’s calendar, with additional advice from Lama Zopa Rinpoche and Geshe Ngawang Dakpa. It’s not too late to get your copy of the January-June 2017 issue of Mandala, which explores what it means to really practice Dharma and includes teachings by Ribur Rinpoche, Lama Yeshe, and Lama Zopa Rinpoche. Get your copy from the Foundation Store or as a Friend of FPMT. 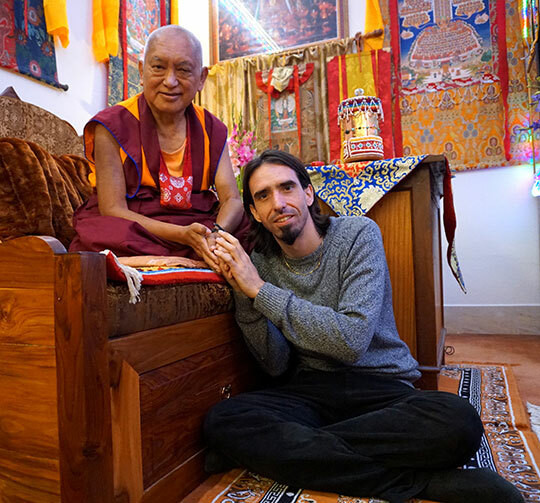 Lama Zopa Rinpoche with Tenzin Ösel Hita in Bodhgaya, India, January 2017. Photo by Ven. Lobsang Sherab. The updated FPMT Ethics and Ethical Policy? 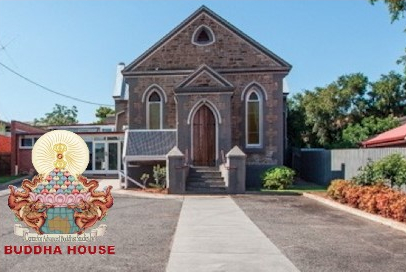 Congratulations to Buddha House, Adelaide, Australia, on its move into its new building on January 16—after a lot of work from volunteers! 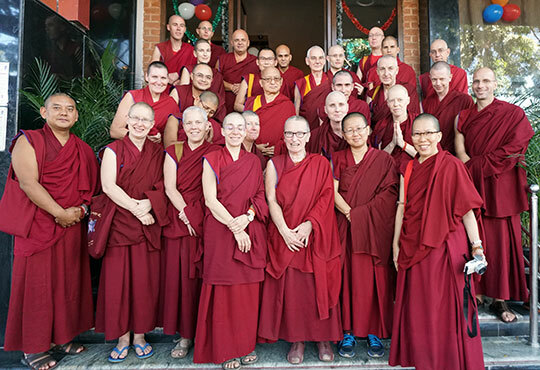 Please check out the regularly updated meritorious opportunities to offer service as a volunteer or as paid staff in FPMT centers, projects, and services around the world. Root Institute, Bodhgaya, India, is looking for an interpreter (Tibetan-English), a Basic Program teaching assistant, and a fundraiser and publicity officer; Mahamudra Center, New Zealand, needs a cook and a housekeeper.